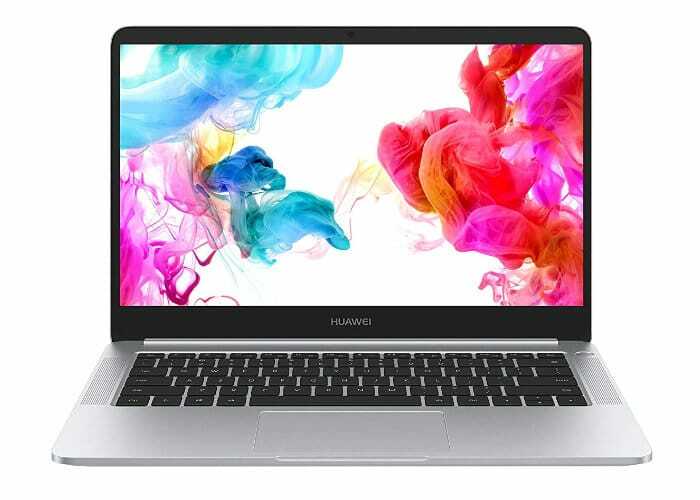 Following on from the launch of the AMD Huawei MateBook D laptop at the end of June 2018, Huawei has this week announced the launch of a new Intel, NVIDIA MateBook D laptop. Equipped with an 8th-gen Intel Core “Kaby Lake Refresh” processor supported by 2GB NVIDIA GeForce MX150 Christ from $999. When compared to the AMD version priced at $630 the Intel, NVIDIA combination is a lot more expensive although some online retailers are already offering discounts. As well as the Intel CPU the new laptop is equipped with a 14 inch touchscreen display offering users a resolution of 1920 x 1080 pixels as with the AMD equivalent. The Intel Huawei MateBook D laptop is also equipped with 8GB of DDR4 memory and supports connectivity via both 802.11ac WiFi, Bluetooth 4.1 as well as a 57.4 Wh batteries. Other connections include a USB Type-C port, and USB 3.0 and USB 2.0 Type-A ports, HDMI port, and 3.5mm audio jack. The laptop ships with a USB-C power adapter and measures 12.7 x 8.7 x 0.6 inches in size and weighs 3.5lbs.